This B-Corp created solar powered lanterns and power banks that are connecting the world to sustainable energy. 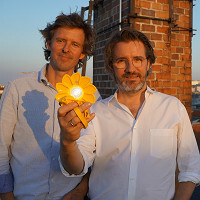 Artist Olafur Eliasson and engineer Frederik Ottesen designed their lanterns and power banks to serve you while also bringing clean, affordable power to underserved areas. For every one sold in a country with electricity, they sell one at a fair, locally affordable price to the 1.1 billion people without electricity in "off-grid" areas. 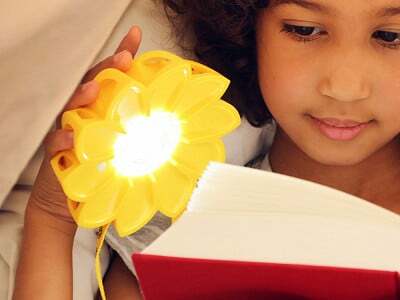 Each Little Sun Solar Powered Light can shine for up to 50 hours, depending on the amount of sunlight it takes in. 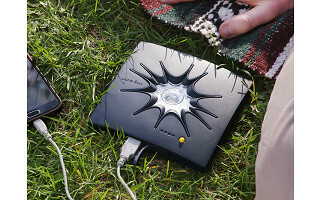 And the water- and weather-resistant Solar Charger will power up a USB-connected device or offer up to 150 hours of light. This translates into less CO2 in the atmosphere, millions of energy dollars saved, hundreds of jobs for local entrepreneurs, and a tangible solution in people’s everyday lives. Take one of these compact, feel-good devices camping, on beach trips, to concerts . . . or bring light indoors. Wherever you’re enjoying it, you’ll feel good knowing you’re shining opportunity on others throughout the world. Sunny greetings! I'm Felix Hallwachs, CEO of Little Sun. We make high-quality solar lamps and chargers that bring the power of the sun to everyone, especially for the 1.1 billion who live without access to electricity. When you buy a Little Sun in North America, you are not only lighting up your life, but you make it possible for us to bring the same products to people living without access to electricity in rural Africa—at a price they can afford, supporting local sales agents at the same time. Like our founder Olafur Eliasson says, "Holding hands with the sun is holding hands with the future." I'm really looking forward to answering any questions you have! Excited about this bc our field guys have to rely on car chargers for energy needs. This will eliminate that requirement as all of our inspections are outdoors. Our company is called Weatherproofing Technologies Inc so I'm going to pass this to them. We have lots of field reps throughout the country and Canada. Steve, this sounds like a job for The Grommet Wholesale! Also, can I replace the battery? Is it a standard item? @Jeff Hi Jeff! Thanks for your message. Our products contain 3.2 V LiFePO4 rechargeable batteries. In general, it is always better to recharge batteries on a regular basis (ideally once a month) to maintain battery life. When charged regularly, the Little Sun products have an estimated life time of up to 5 year when used daily. For the Little Sun Original, you can exchange the battery, using a TX9 screwdriver. However, it is important that you replace it with the same type of battery (3.2 V with 400mAh). These look great, and I love the dual mission. Question, approximately how long does it take to charge a cell phone? I would like to sell your products in Puerto Rico or do you have one here, already. I have an android phone and a kindle. With the solar charging device work with these plugs? Thank you for your work around the world. Will these eventually be available in the UK please, I do hope so because I'm really interested in them and anything that enables the less fortunate to have light and helps our planet can't do anything but good! This B-Corp created solar powered lanterns and power banks that are connecting the world to sustainable energy. Artist Olafur Eliasson and engineer Frederik Ottesen designed their lanterns and power banks to serve you while also bringing clean, affordable power to underserved areas. For every one sold in a country with electricity, they sell one at a fair, locally affordable price to the 1.1 billion people without electricity in "off-grid" areas. 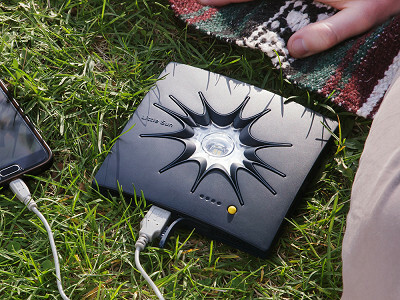 Each Little Sun Solar Powered Light can shine for up to 50 hours, depending on the amount of sunlight it takes in. 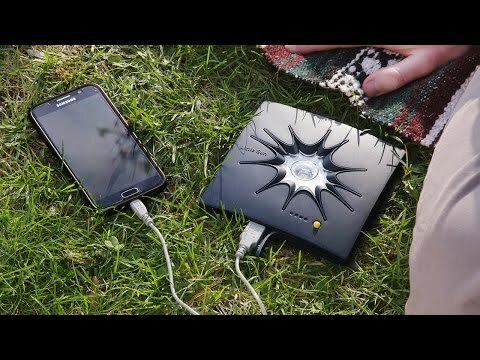 And the water- and weather-resistant Solar Charger will power up a USB-connected device or offer up to 150 hours of light. This translates into less CO2 in the atmosphere, millions of energy dollars saved, hundreds of jobs for local entrepreneurs, and a tangible solution in people’s everyday lives.